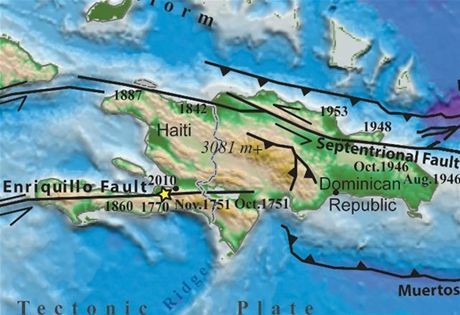 The image on the left shows the two major fault lines in Hispaniola. The one in the north follows the Sierra Septentrional mountain range which is visible from Luperón harbor. The one in the south is named for the below-sea-level salt water lake Enriquillo in which the fault ends. The bays at Luperón are the end of a spur of the Septentrional fault. 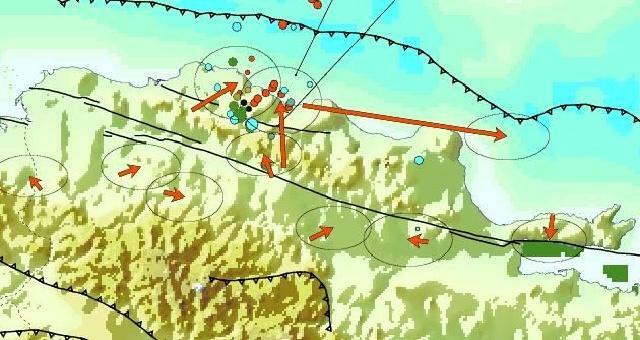 The Haiti earthquake of 2010 is shown, but for some reason, the Puerto Plata earthquake of 2003 is not shown. Also shown are the locations of the North American (North Atlantic) and Caribbean tectonic plates. The N.A. plate is sliding under the Caribbean plate. 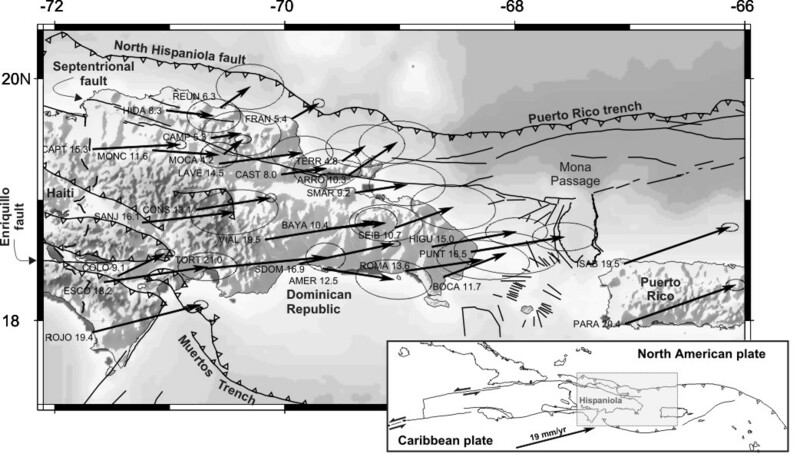 These plates are also refrerred to, respectively, as the Hispaniola Fault and the Muertos Fault. The image at the left shows some history of the movement of the Septentrional fault. The third and last image below shows annual movement in millimeters associated with the Septentrional fault.